Set with three expertly chosen Baguette cut Diamonds, this Wedding Ring design is something a little bit special. The three Diamonds are set side by side within a precision cut channel setting, and achieve a total Carat weight of 0.18cts. The trio have also been graded G Colour and VS2 Clarity prior to being set into your Wedding Ring. Available in a range of band widths and precious metal options from the drop down menu above, you can customise the design to your your own taste. Choose from 18ct White Gold, 18ct Yellow Gold, Palladium or Platinum, and between a 5m or 6mm band width. 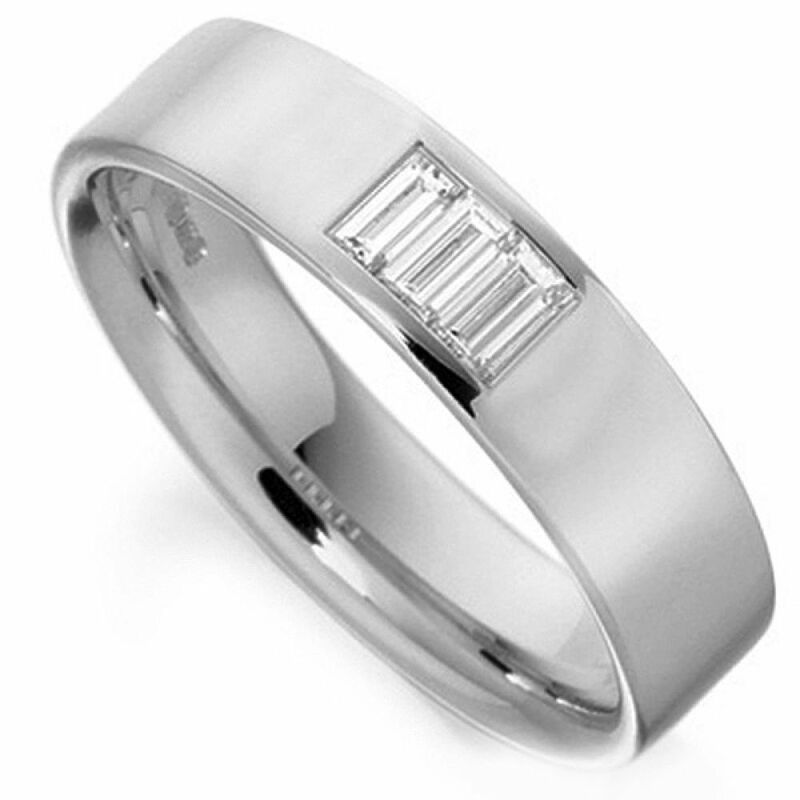 The Wedding Band itself is a comfortable flat court profile band, slightly more modern than some other profiles to continue the contemporary feel to the design. Once we have crafted your ring for you, it will be delivered straight to your door by a secure courier, presented in beautiful Serendipity Diamonds packaging.